Opening Day is upon us, and I couldn’t be more excited. Yeah, I’m pretty excited every year at this time, but this year seems, I dunno, different. 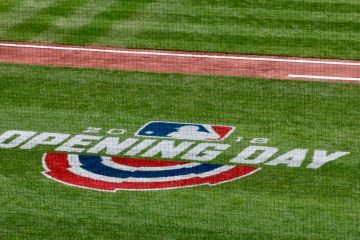 The Reds have had nine straight losing seasons; by all rights, we should be dreading the start of another baseball campaign. This year, however, there seems to be a little hope bouncing around the Nation. I don’t know if that hope is reasonable, if it’s unreasonable, or if it’s just wishful thinking on the part of a fan base that has been beaten down for a decade. Probably a large dose of that wishful thinking, but who cares? It’s April and the weather is warm outside and Opening Day is upon us and I’m excited for some Reds baseball. Deal with it. We could delve into the stats and the projections and the roster decisions — heaven knows we’ve done plenty of that lately, and Bill and I cover much of it in our soon-to-be-posted Season Preview Extravaganza podcast — but now’s not the time for that. Now’s the time to reflect on why we support this flawed franchise, and why we have so many hopes and dreams invested in a baseball club, of all things. I’ve been to six or seven Opening Days and they’re all fun. If you haven’t yet, you must do Opening Day in Cincinnati. It’s a celebration of baseball in this fair city, and it’s something that every loyal citizen of the Nation needs to do at least once. Or twice. Or twenty times. Why do I get excited every year? Because this is the franchise of Barry Larkin and Johnny Bench and Mario Soto. It’s Pete Rose and Frank Robinson and Adam Dunn. Ted Kluszewski. Ernie Lombardi. Joe Morgan. Edd Roush. Vada Pinson. Tony Perez. Eric Davis. World championships and special dynasties. A long, successful, and interesting history. Equally so, however, it’s the franchise of Paul Householder and Reggie Taylor and Bill Bergen. Corey Patterson. Steve Mesner. Jo-Jo Morrissey. Opening Day starting pitchers like Jimmy Haynes, Mike Remlinger, Bud Podbielan, and Johnny Klippstein. The point is: this is our team, for better or for worse. The last decade has been one of the worst runs of baseball that Cincinnati has ever seen. Yet here we are, desperate for baseball to start, clinging to the hope that the Reds — our Reds — might be able to cobble together a competitive team once again. Maybe this is the year. I hope so, and I know all of you feel the same way. Either way, tomorrow afternoon, I get to watch the Cincinnati Reds play baseball. The world is right again. Go Reds. What did BP know about Mike Leake? Whats this I hear about a “Season Preview Extravaganza podcast?” I’m ready to listen to that right now! I am going to the Saturday and Sunday games at PNC in two weeks. It looks like Arroyo and Bailey will be lined up for those two. I can’t wait. Has anyone ever taken a regular city bus to and from the suburbs (West Chester) and a game? I’m really excited for the season as well, although I think deep down I’m more looking forward to watching the parts develop this year that will make the Reds real contenders next year. Leake. Chapman. Bruce. Bailey. Stubbs. Etc. Not that I don’t think we can sneak in the backdoor this year if everything goes right. And I’ll be cheering like heck for that starting at 1:10 tomorrow afternoon! I often park between the baseball and football stadiums…while it’s somewhat pricey, I have NEVER had a problem with traffic, even on Opening Day. You’re going to have a great time. Look forward to hearing your report on the festivities. Anyone with parking strategies to offer me? I would say the farther from the park, the better. We parked right near Fountain Square last year, and it was a SOLID hour from the time we got into the car to when we hit the steet. IÃ¢â‚¬â„¢ll be at GABP for my first ever opening day tomorrow as well!! This will probably be the first time IÃ¢â‚¬â„¢ve seen the ballpark full of fans, which should be a sightÃ¢â‚¬Â¦More than anything, IÃ¢â‚¬â„¢m excited to be there on a day when the Reds are celebrated for what they are: a storied baseball franchise with a rich history. IÃ¢â‚¬â„¢m looking forward to joining my fellow reds fans in setting aside the gloom and doom for one day and just celebrating the Cincinnati Reds and good old, hardworking, Midwestern, little city baseball! Another Butler County citizen? Good for you. I don’t think there is a strategy on Opening Day. Normally, if you don’t mind walking, I’d say either between Vine and Central, maybe the garage by Convention Center…or else up near the Courthouse. Both will be fairly clear (I’d guess) by the time you walk to your car. I’d also take Central Parkway all the way up to Cincinnati State before getting onto I-75 after the game. For normal games, I park under Fountain Square. Cheap and by the time I walk up there, can drive right out, get on 75 at Ezzard Charles (or up by Cincinnati State) and be headed home. Anyone with parking strategies to offer me? IÃ¢â‚¬â„¢m headed down to GABP for my first Opening Day tomorrow. Day-game parking is usually challenging enough, but throw in another 30K people, parade and other festivities Ã¢â‚¬Â¦Has anyone ever taken a regular city bus to and from the suburbs (West Chester) and a game?IÃ¢â‚¬â„¢m really excited for the season as well, although I think deep down IÃ¢â‚¬â„¢m more looking forward to watching the parts develop this year that will make the Reds real contenders next year. Leake. Chapman. Bruce. Bailey. Stubbs. Etc.Not that I donÃ¢â‚¬â„¢t think we can sneak in the backdoor this year if everything goes right. And IÃ¢â‚¬â„¢ll be cheering like heck for that starting at 1:10 tomorrow afternoon! I’ll be at GABP for my first ever opening day tomorrow as well!! This will probably be the first time I’ve seen the ballpark full of fans, which should be a sight…More than anything, I’m excited to be there on a day when the Reds are celebrated for what they are: a storied baseball franchise with a rich history. I’m looking forward to joining my fellow reds fans in setting aside the gloom and doom for one day and just celebrating the Cincinnati Reds and good old, hardworking, Midwestern, little city baseball! @Steve: That lineup is disgusting especially when you see how Nix has fared against Carpenter in the past, ridiculous. Nix is SUPPOSED to be the 5th OF, but is starting opening day. Seriously Dusty what are you smoking!? This is Dusty Baker’s last Opening Day with the Reds. You can take that to the bank. Johnnie B. is not and has not for some time been favored by the man who hired him. 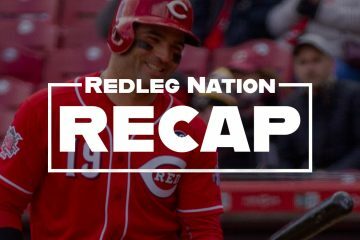 I understand that it does not matter whatsoever how well the Reds play this season. Baker will not, repeat, will not be at the helm next year. Either Baker is through at the end of the year or if the Reds falter in mid-season, a replacement will be named. At the end of the day, Dusty really doesn’t know how to handle a club. Can you imagine how upset Stubbs is at this hour? With apologies to all the buzz about Opening Day, it should take too long for the pundits to start their speculation as to who will be the Reds’ skipper in 2011. Ah, Donovan McNabb just got traded to the Redskins. Damn. Nix barely makes the team and he is starting on Opening Day??? How is Stubbs not starting?? I have hope for this season, but, I am worried/convinced that Dusty will do his best to screw it up. @Chad Dotson: I’ve done that and worked well. Another option in the past I have done (don’t know if they still do it) was park at Hooters in Newport and ride the ferry to the game. It’s usually pretty fun, but I haven’t been up there in a couple of years now. It doesn’t matter about the lineup really. The whole team has talent. I’d have preferred to see Cabrera start hitting better before they put him in the 2 hole, but I expected that. I expected to see Stubbs start, but Dickerson will do a good job. I also expected to see either Gomes or Dickerson in LF, but Nix is fine as well. A strict L/R platoon between Nix/Gomes would be a big mistake, IMO. I generally park across the river in Newport & walk over the bridge to the game. Of course, I had been considering heading up for the game tomorrow to see my man Stubbs kick of our season (whose jersey I bought, by the way, with this idea in mind), only to find out that Dusty’s sabotaging our season before it’s even began. I want this team to win so bad it makes my eyes hurt, but the only way that happens is if they do it IN SPITE of the Dustcrap they are dealt…and, in pure Catch 22 manner, that makes firing Dusty hard to do. I’m not going tomorrow. I wish Laynce Nix all the best, and I hope he (and everyone else) belts a few HR’s, but there is zero justification for not starting Stubbs. Don’t give me the “he’s a tough RHP” argument, for that would mean that Laynce Nix will be playing vs. Wainright, Zambrano, Oswalt, Halladay, Lincecum, etc. all season, and Stubbs will get 300 ABs max. Garbage, Dusty. Garbage. A Gomes/Nix platoon in LF shouldn’t be assumed based on this lineup. Stubbs will be starting in CF most games, putting Dickerson in LF against most righties. I presume Dusty’s thinking is that Carpenter is a “tough righty” and he is going with Dickerson over Stubbs against certain tough righties. Obviously, Carpenter is a tough righty, but without looking up the numbers, I would guess that he’s almost as tough on left handed hitters as he is on righties. I presume DustyÃ¢â‚¬â„¢s thinking is that Carpenter is a Ã¢â‚¬Å“tough rightyÃ¢â‚¬Â and he is going with Dickerson over Stubbs against certain tough righties. Obviously, Carpenter is a tough righty, but without looking up the numbers, I would guess that heÃ¢â‚¬â„¢s almost as tough on left handed hitters as he is on righties. lets hope Reds management thinks like this. I doubt it but I can hope can’t I? On Saturday, I heard Jeff Brantley inerviewed on XM MLB radio by Jeff Nelson and Jeff something. They asked questions about Leake, Harang, and Homer. JB was positive about all 3, as you’d expect. He said that Harang was getting hit hard in ST partly because of experimenting with a changeup. He feels Harang is throwing well. He was even more positive about Leake and Bailey. In short, he said that Leake knows how to pitch, Homer has learned how, and they’re both mature young guys with huge upside. Jeff Nelson and the other ESPN Jeff were not so impressed. They both felt that the Reds are taking an unnecessary chance with Leake. This was based in part on their assumption that the Reds will not contend this year. Actually, Jeff X said the Reds need a strong season from Harang to compete, and Nelson said they certainly needed that but wouldn’t compete anyway. They both picked the Reds for 4th place, the Cards for first and the Brewers and Cubs for 2nd/3rd. Nelson sounded like a butthead, which is not surprising, he did assault a Red Sox groundkeeper. As for the opener: GO REDS !!! Mike Remlinger started an Opening Day? REALLY? I don’t remember that.